We'd like to welcome you to our family run, 4 Star, Bed & Breakfast, Isles of Scilly. 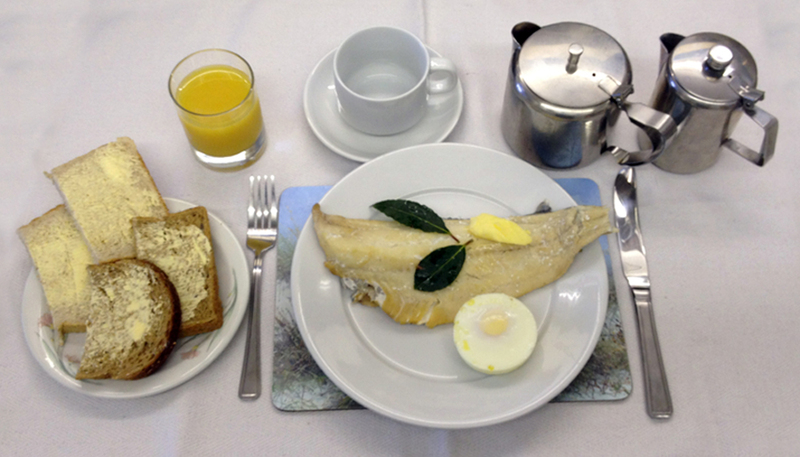 enjoyEngland Breakfast & Silver Awards! Scilly islands: the next big foodie destination? We’ve had the painters in! 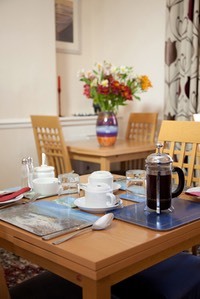 Breakfast is served around 8.30 in our ground floor dining room. 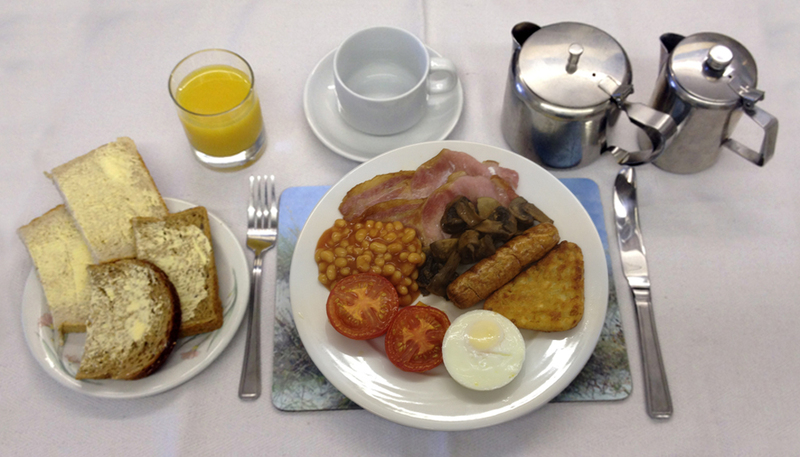 You can enjoy a full English breakfast or if you prefer something lighter, a range of fruit juices, yoghurts, fresh fruit, croissants, cereals & smoked haddock are always available. All made with local produce where possible. 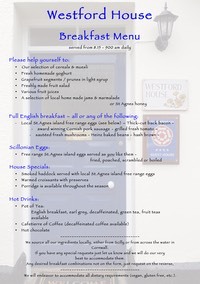 Our eggs come from St. Agnes, a neighbouring island, as does our honey. Our marmalade is made locally in Old Town right here on the Scilly Isles and we make our own fresh yoghurt. Please click the menu on the left for a full size version. On request early breakfast can be provided on the day of your departure. A boatman from St.Mary’s Boatmen's Association will visit the dining room during breakfast and give information on that particular day's trips. 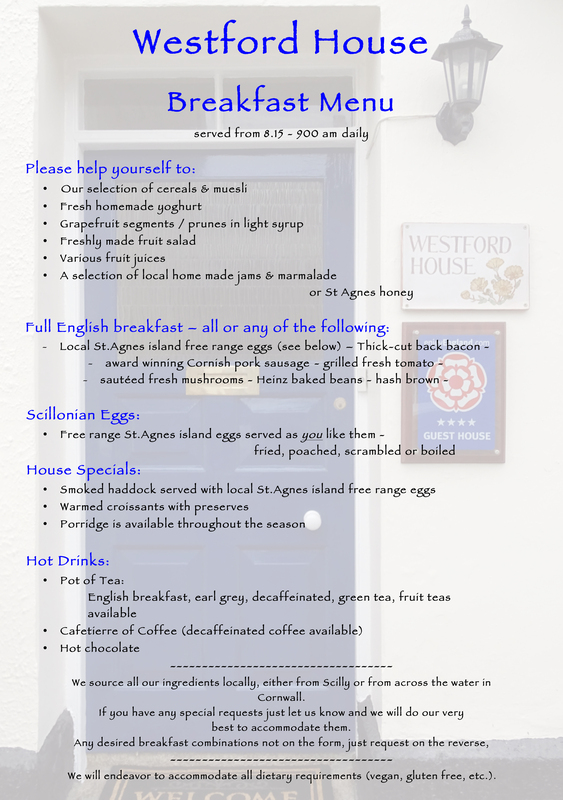 Bypass the boat ticket queues by purchasing tickets here at Westford House B&B for the same price as on the quay. You can then quickly embark the boat of your choice, meaning you can enjoy your tasty breakfast at a more leisurely pace.